With the year that Bruno Mars has been having, there is no way we could not dedicate a Top 5 to him. The release of the pop superstar's latest album "24K Magic" at the end of last year has further cemented his legendary status as a musical and cultural icon. From hits such as "That's What I Like" to the title track "24K Magic" Bruno Mars' records have been receiving a steady supply of radio play throughout 2017. Combine this with his other works that are still quite relevant and the aca-community has plenty of material for years to come. In this week's Top 5, we're highlighting a few of our favorite performances of the artist's song, including a snazzy take on "Uptown Funk" all the way to a collaboration of "Runaway Baby." Enjoy! The old-school stylings of "Too Good to Say Goodbye" makes it a perfect selection for a cappella. And can we just say that the Penny Loafers are giving us all the feels with their interpretation of the song. It has emotion and is big on the vocal delivery, from the harmonies to the lead. It's a performance that's different from everything else on our list and will have you loving a cappella even more. When it comes to infectious songs of 2017, "That's What I Like" has taken the top spot. And this duet version of the song by Stanford's Everyday People does a great job of replicating all of the elements that we love about the original. The backing group's massive sound mixed with the energy of the soloists is giving us every reason to proclaim "that's what I like." It's not easy delivering such chill vibes while covering a song by perhaps the biggest name in pop at the moment, Bruno Mars. But The Beltones do it so effortlessly. "24K Magic" is a beast in itself to replicate, but The Beltones manage to wonderfully fuse rap with some fly vocals that allows for an enjoyable performance. We're giving extra points as well for the incredible video work. We sifted through an endless supply of incredible "Uptown Funk" covers, but there were none quite as diverse and magnificent as this one by Baylor's VirtuOSO. The arrangement is crazy good as it cycles through multiple song genres and features one kickass beatbox breakdown. 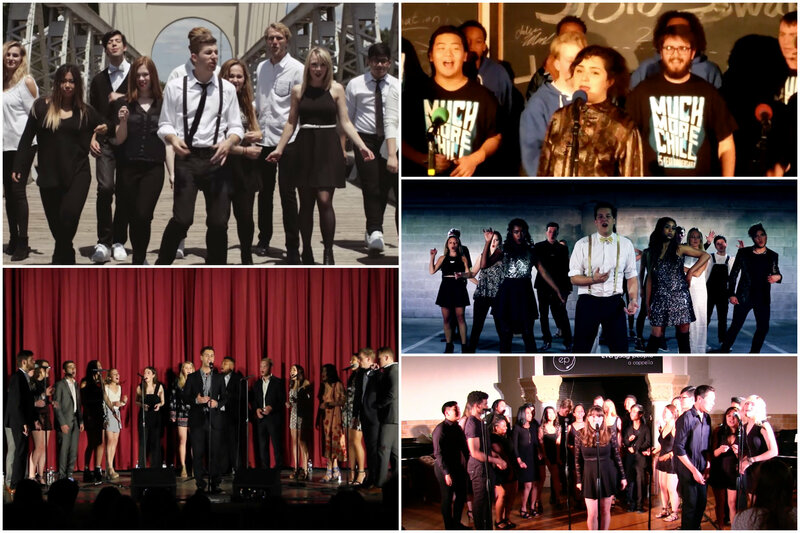 Collaborative performances often bring about some of the most magical moments in a cappella. This is furthered even more by solo swaps, where one group invites a guest singer from another group to perform a signature song. The level of fun and comfortability by Much More Chill mixed with the power of this vocalist from The Riveters is a match made in heaven.